Maybe there is a thread like this already. If so, I can't find it. If not, here it is! Can someone tell me what key switches these are? Link to Wiki please, if possible. They are from 1974. That font is something funky, especially for doubleshots! Do you have any info regarding the model of the keyboard or the computer/terminal it came from? ZedTheMan wrote: ↑ That font is something funky, especially for doubleshots! They look similar to magnetic reed boards I've seen, but the screws on the top look different and can't know for sure. Are you able to see the bottom of the PCB? Oh, wow! That is a serious piece computer history, right there. I've also seen old foam and foil boards that have that same look with the square white slider in a large block. Nope, it's got switches. No markings on the bottom other than "Assembled in Mexico"
God, just look at the number of bolts on that thing! I don't think I've seen a discrete switch implementation like that where multiple sliders seem to be held in place by the same component while the bottom has individual switches soldered. It appears to be a copy of Key Tronic magnetic reed or Maxi Switch magnetic reed. Both of those look almost exactly identical, including the block-type switch and bolts everywhere. However, both of those use a distinctly different pinout, use keycaps with different mould patterns (although I'm sure I've seen that font somewhere before), and I think both were still being made in the USA, although I could be wrong on that one. EDIT: the keycaps also don't have the same sculpting. EDIT 2: and the plungers don't have the same tops. I posted about these switches earlier, but since we now have an official "Identify the Keyswitch" thread, I figured I'd try one more time. I posted more pics and what info I could find here: keyboards-f2/oak-industries-buckling-sp ... 19867.html , so I won't duplicate it all in this thread. Does anyone know anything more about these switches? 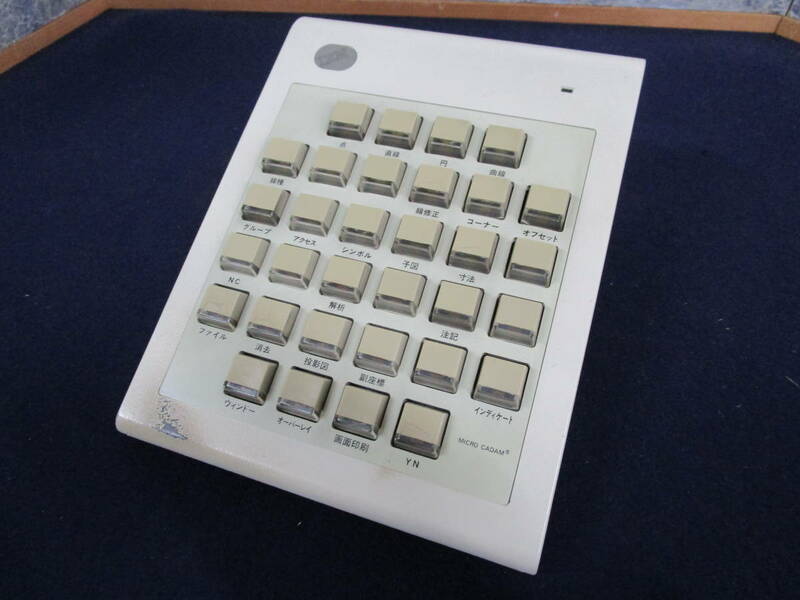 OldIsNew wrote: ↑ I posted about these switches earlier, but since we now have an official "Identify the Keyswitch" thread, I figured I'd try one more time. If you found the patent, that's probably the best info you will find. They are very unusual switches and I have never seen them. Very nice. Here is a couple of quick pics of the keyboard mechanism. I am afraid to go deeper on this one because of the rarity of the machine. Keyboard made by CRC with MCM (computer manufacturer) branding. The Serial number is 92. There weren't more than a few hundred of these MCM/70 computers made and you can count the remaining ones on two hands. What does it feel like to type on these switches? JP! wrote: ↑ What does it feel like to type on these switches? They are linear switches that feel pretty good but are slightly firm as is the case with key switches of this era. Turns out the key switches are made by Controls Research Corp (CRC) and keys are grouped together in various packs. Here is a four pack shown with company branding shown. Damn,I love the legends on those caps,I wonder how much a custom set of those in black on purple keys would run. Here's another interesting linear keyswitch that I don't think is documented. I'll have to dig into this computer on the weekend. Another cool board with interesting switches! Could they be old style F&F, could they be magnetic reed - or something else? Let's see some more! Maxi Switch magnetic reed, I think. Chyros wrote: ↑ Maxi Switch magnetic reed, I think. I looked around for this in the Wiki but no luck. Do you know of a sample pic? I will take pics tomorrow once I get a chance to take apart the computer. Never mind. I found the Maxi Switch magnetic reed switches here Those are straight but these are slanted. Looks pretty close though. I took a few more key caps off but still no markings. Will have to take it apart. An interesting note on these, these are the first key caps that I have experienced that actually "click" into place when replacing the key caps on the stems. snuci wrote: ↑ Never mind. I found the Maxi Switch magnetic reed switches here Those are straight but these are slanted. Looks pretty close though. I took a few more key caps off but still no markings. Will have to take it apart. The Maxi Switch ones have the click-in thing as well. I'm actually covering them in a review this week, as it happens . snuci wrote: ↑ An interesting note on these, these are the first key caps that I have experienced that actually "click" into place when replacing the key caps on the stems. I took some pics over the weekend. You got it right. It IS a Maxi Switch magnetic reed keyboard. I will try to post the pics today or tomorrow. I found that the white key caps have no issues. The black keys are more brittle and the stems break easier. Several black key caps are broken or have broken when cleaning up the board. Must be different material. My keyboards use grey keycaps. Every single cap I've pulled makes the stem break. The stem walls are very thin. Anyone know what switches this comes with? I think I remember someone saying it had alps switches but I can't find wheere I saw that. I saw one with Alps switches if I remember well. I heard a while ago that it came with Green, Yellow, and Gray Alps switches. I think the Gray ones are very rare. The various boxes have had many things over the years. My SGI one had Cherry MX Black. What the heck is this... NOTHING-over-membrane? ?